LIMITED TO 100. 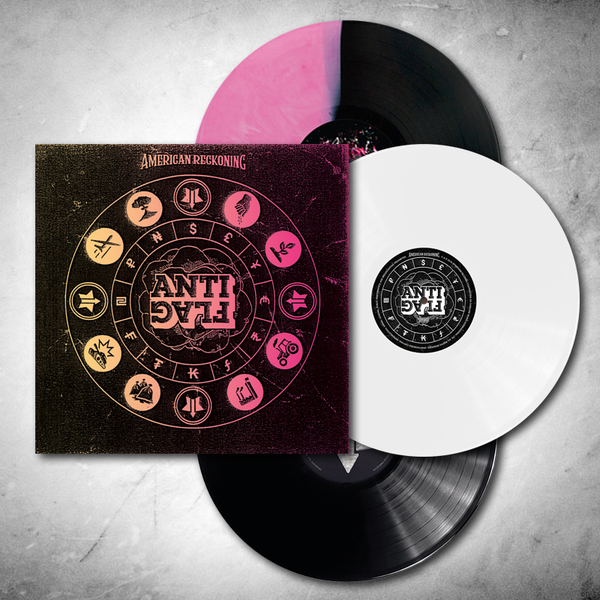 This bundle includes Anti-Flag's "American Spring" "American Fall" and "American Reckoning" LPs, as well as a screen printed poster cover that is hand numbered and SIGNED BY ANTI-FLAG. The covers are printed using a blended ink process so each jacket color is unique to itself.